Pratice, pratice, pratice… in a meaningful way. Spelling, as a little girl was difficult for me, I didn’t understand the rules and dreaded weekly spelling tests. It wasn’t until I stated teaching that the English language begin to make sense. With programs such as Linda Mood Bell and Words Their Way I discovered the joy and fun of decoding words. No longer was it a frustration to spell, but I clearly understood the how and why. Teaching spelling (working with words) and writing became fun as I created unique and interesting tools for a variety of leaners. Daily my classroom would practice a quick mini lesson on the patterns of language which we would then apply to our guided reading. 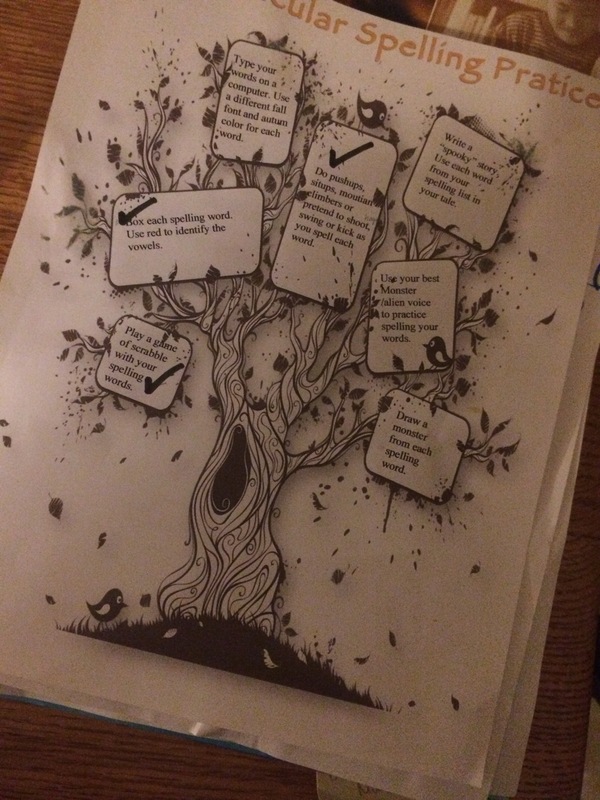 What sorts of activities would I do with my classroom? From Working with Words word building, developing my own word ladders, to creating interactive games and exercising, I would tap into the variety of learning styles. So, how do I apply this method at home? Now that my own children have spelling lists, I work with them on spelling patterns. I also create fun and interactive ways to rehearse and practice their words. 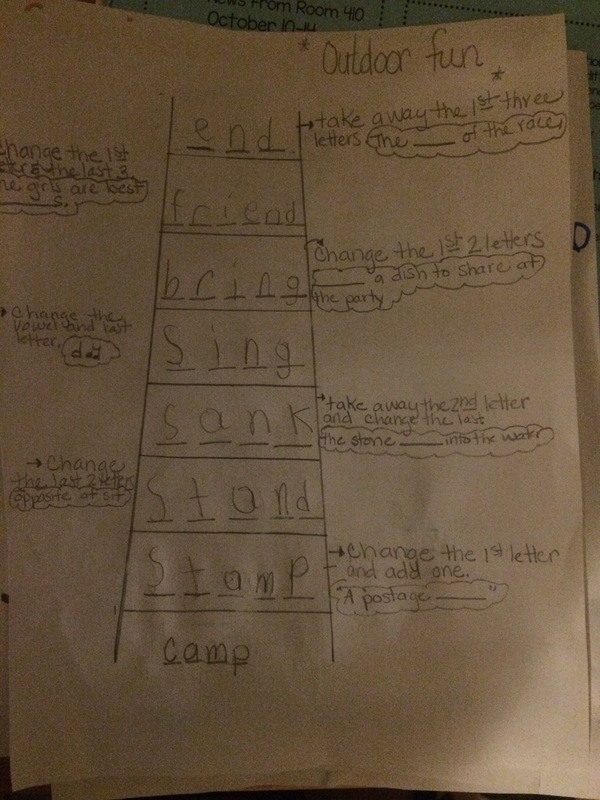 Looking for fun 5 creative ways to practice spelling at home? Try using one of these examples or click here to see my 7 Spooktacular Spelling Ideas for October. 1. Dust off your old Scrabble and Boggle Games- Take turns and try to connect as many spelling words as you can with your child. Honestly, I had to strategize a few moves before my daughter to in order to make the connections. We flipped over the letters and concentrated on building our scrabble puzzle rather then playing a “real” game of scrabble. Another method is to split the words in half and add up the number tiles for each word. Whoever gets the most points total is the winner. 2. Pre box the words to each spelling word. Tall boxes go with tall letters such as t, f, l, and b. Boxes that dip go with letters such as p, y, j and g. The rest are straight across. See the example below of how I drew my boxes. Your child will then have to use their spacial reasoning to figure out where each word goes and spell them, as you read the words aloud. Have them identify the vowel in a different color. 3. 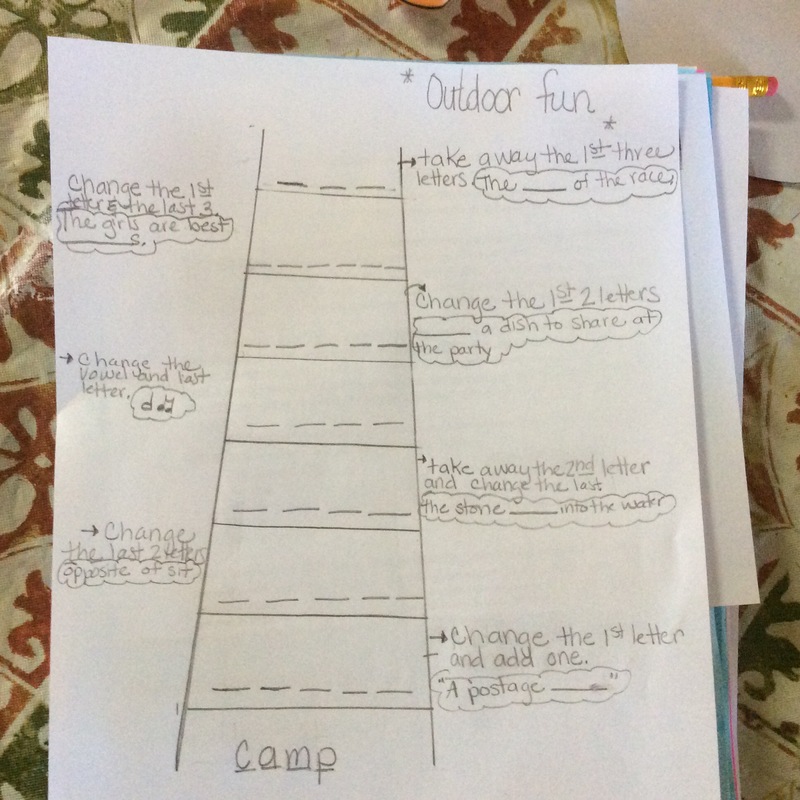 Create your own word ladders giving clues for letters that will change and hints about the word. An example is shown below that I did with my daughter. To much of a challenge? Check the word ladder book. It goes by theme so what ever skill your child is working on, locate and try. The words won’t be the same but, the skill will be similar. 4.Do pushups, sit ups, mountain climbers or pretend to shoot hoops, swing or kick as you spell each word. This is a favorite activity in which all my kids participate. 5. 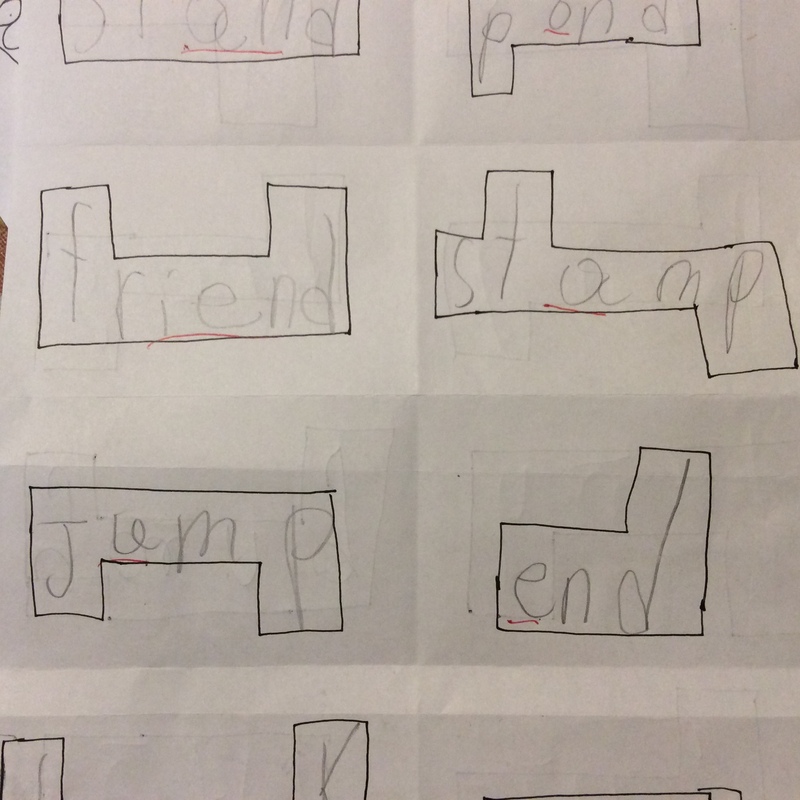 Write a story using each spelling word. Or, go on a word hunt within a book to find the words. Having a difficult time finding the words in print, use old newspapers or magazines to cut out letters to recreate the words. In a couple weeks, I will switch up the spelling practice ideas and give you another selection of fun spelling activities. But, for now, here is our 7 day spelling Spooktacular Spelling Practice.